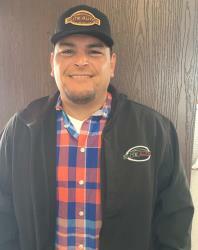 My name is Ken Flores, the owner of Elite Autoz located in Santa Maria, CA. I have worked here on the Central Coast selling cars for over 15 years. I have spent a majority of my automotive career with the #1 Used Car Dealership in Santa Barbara County at Best Buy Auto Sales. During this time I was privileged to help many families in our community with the purchase of their vehicles. I am looking forward to serving all of my past customers as well as new with excellent customer service and quality cars at Elite Autoz.